Texas has a statute that permits the voluntary or involuntary termination of parental rights. There are situations where it becomes essential to terminate parental rights of one party, in the interest of the child or to protect the child. Irrespective of the type of termination, a family lawyer is needed at every hearing, to help the court make the right decision. While a family attorney is always there to clarify all doubts, both the parents should be aware of the fundamentals of parental rights termination in Texas. The blog post gives an overview of parental rights and their termination. Parental rights give parents the responsibility of their children and the right to make decisions for them. After divorce, couples who are biological parents and married usually get joint parental rights. When the court terminates parental rights, the ex-parent no longer has the financial obligation and other responsibilities of the child. The ex-parent cannot interfere with the decisions such as the child’s education, place of residence, and religion. The custodial or noncustodial parent may also file for voluntary termination of rights of the other parent upon noticing lack of interest or involvement in parenting of the child. Separated parents need to know the legalities of parental rights termination as it helps in ensuring a secure future for the child. Instead of self-filing the petition for parental rights termination, parents should hire a family lawyer with proven expertise in child custody laws. 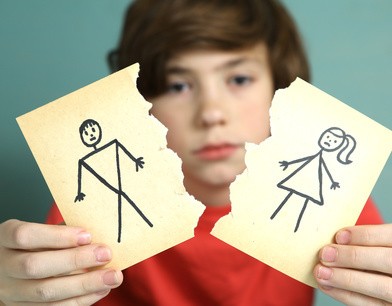 If you have any questions about child custody and parental rights, the attorneys at 123 Custody Dallas are here to help. For a free consultation with our experienced divorce and family lawyer, call us at 214-599-9979 or fill out the form.